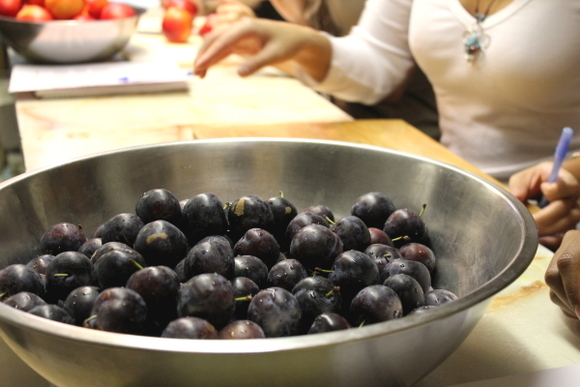 Photos: Preserving fruits with Camilla Wynne! Thank you so much to everyone that helped make last week’s canning workshop with pastry chef Camilla Wynne such a mega success. We spent the night learning about the basics of canning fruit and vegetables, peppered with plenty of Camilla’s pro tips. Everyone went home with two hot jars of preserved plums in vanilla syrup, and a nectarine-sapote jam. It was crazy fun and awesome to meet so many interesting and lovely home canners. Stay tuned — we’ll be bringing Camilla back for round 2 as she takes on pickles, brines, and vegetables! Dates to be announced shortly!